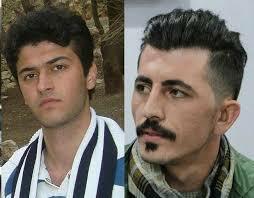 Two activists were transferred to intelligence detention center, while rest of the activists were released. The Iranian intelligence forces detained a number of activists and civilians in Marivan, Sanandaj, Rabat, Oshnavieh, and Rawanser following the general strike in East Kurdistan on Wednesday, 12th of September. Nine of the civil activists were arrested in Marivan during the general strike, however, The Kurdistan Human Rights Network (KHRN) was informed on Wednesday that seven those activists were released on bail. The list of released activists is as follows: Moslim Bahrami, Dler Roshn, Mohammed Azkat, Mohammed Tabire, Ehsan Partovi, Nechirvan Hosh Nazar, and Aram Amani. The name of two detainees is Soran Daneshvar and Aram Fathi and they were transferred to the intelligence detention center for further interrogations. In addition, Mokhtar Zarei, Mozafar Salehi civil activists who were arrested in Sanandaj, ware released temporarily on bail. There is however no information about the fate of other detainees, among them are Khalid Ganjani, Rashid Nasser Zadeh, Musa Azeri, Siamend Doloti and Khadr Doloti in Oshnavieh, Bagheri Safari in Rawanser and Jafar Rasolpour in Rabat Sardasht. Various reports from different cities of East Kurdistan indicates that the regime’s security forces started a large-scale detention and summons of citizens. According to the reports, more than 20 shopkeepers who participated in the general strike were summoned, interrogated, and threatened by the security forces. It’s worth noting that the general strike was initiated as an invitation from Kurdish parties and civil activists to protest the execution of four Kurdish political prisoners, as well as IRGCs missile attacks on the headquarters of Kurdistan Democratic party and Kurdistan Democratic Party of Iran in South Kurdistan.